Next week, on the 10th, Counterbalance will be hosting an event to celebrate the 4th Anniversary of their neighbor, Sound Homebrew Supply. Then, on the 14th, Counterbalance will join Stoup Brewing, Flying Lion Brewing, Burdick Brewing, and Lazy Boy Brewing for the inaugural Movember Brewfest at the Thunderbird Tavern. Finally, Counterbalance invites you to visit Beveridge Place Pub all month long to cast your vote for their next house IPA – Counterbalance IPA is in the running this year. Saturday, October 10: from 2-7pm at the taproom, we’ll be celebrating the 4th anniversary of Sound Homebrew Supply, our neighbors to the east. The Sound Homebrew Supply crew will be doing a full brewing demonstration of the “Grainfather,” an all-grain, all-in-one homebrewing system (http://www.soundhomebrew.com/the-grain-father-allgrain-brewing-system/). We’ll have food available from the Hot Dog King all afternoon, we’ll be open until 9pm (it’s Georgetown Art Attack that night too! ), and all same-day Sound Homebrew Supply customers who show a receipt will get a discount in our taproom. Whether you’ve never brewed but are interested or have been making beer for years and want to check out a slick new set-up, this will be a great opportunity to see it in action and talk with knowledgeable folks about its operation. Wednesday, October 14: Counterbalance will join Stoup Brewing, Flying Lion Brewing, Burdick Brewing, and Lazy Boy Brewing for the inaugural Movember Brewfest at the Thunderbird Tavern! Each brewer is bringing our own take on an Export Stout to vote on and we’ll also have our top taproom beers in tow, as well as ciders from Seattle Cider company and food from Secret Sausage. 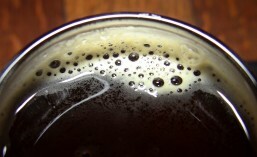 All Damn Month: Last but not least, we encourage everyone to spend some time at the Beveridge Place Pub throughout Hoptober and vote for your favorite IPA (it’s called Counterbalance IPA if you can’t remember) every day all month, ending with the pick of the Bev’s house IPA for the next year. 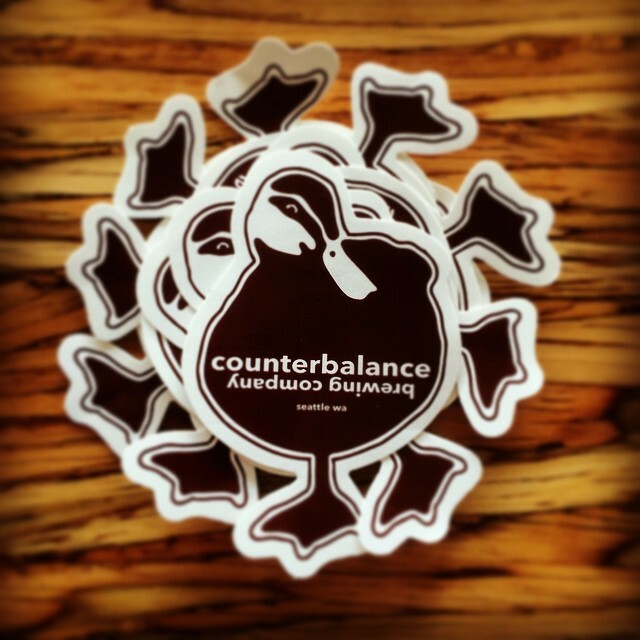 Counterbalance Brewing Company, owned and operated by Jeff Howell and Frank Lawrence, opened its taproom doors and launched wholesale distribution in February 2015. Counterbalance beers are distributed to bars and restaurants throughout Washington and northern Idaho by Noble LTD.
With so much going on, if you’ve never visited Counterbalance Brewing Company before, this is the month to drop by. If you’re already a fan, then you know what’s up. This entry was posted in Baseball, Beer, Beer Release, Brewing, Events, Fall, Festivals, Food, Georgetown, Hops, Imperial, IPA, Local, Seattle, Washington, Washington Beer and tagged 2015, beer, Beer Release, Beveridge Place Pub, Burdick Brewery, Counterbalance Brewing, events, festivals, Flying Lion Brewing, Georgetown, Lazy Boy Brewing, October, seattle, Stoup Brewing. Bookmark the permalink.